Have you watched a football game on TV in the last few years? If so, you already know what augmented reality is all about. Broadcasters digitally add in the 1st down line as you watch. This adding of digital graphics to a realistic image is augmented reality. Augmented reality is not a cool name. Like net neutrality or cloud computing, it doesn’t sound great and no one seems to understand what it is until you explain it to them. I was one of those people. While I understood the idea of augmented reality, I didn’t see much potential in it. However, after spending some time with Qualcomm’s Jay Wright, I’ve learned that there are a lot of useful ways the technology can be used. And so I’ve found five ways that augmented reality (AR) could be used in every day life. Some of these uses are still conceptual, but a number of companies are already working on developing augmented reality applications and technology. Most everything here can and will be done in the next couple years. Enjoy. Imagine you’re looking for a place, but the map on your phone just isn’t helping. Here’s where AR will come in handy. Using visual landmarks (like a Starbucks sign) in the distance, or GPS, you’ll be able to hold your phone up and look around using its camera. Using digital arrows and indicators, your phone will highlight the place you’re looking for, and the best way to get there. Think of it as an interactive extension of Google’s Street View, but instead of simply showing you what’s around (you can already see that), it will help you find what you’re looking for in the chaos. The video below shows a New York Subway app that shows you where the nearest subway entrance is by using your phone’s built-in GPS and digital compass. As GPS technology evolves, this will be very useful for finding items inside of malls or grocery stores. Several companies are already demonstrating technology that maps out indoor locations like these. Car companies are already working on integrating this kind of technology (and other AR displays) right into your car’s windshield. Like the lifebar in a video game, displays like these will be available, but are designed not to distract you while you’re driving . The concept video below demonstrates one way GM is trying to accomplish this. It’s difficult to imagine playing a video game with your smartphone camera, but it’s a lot of fun. Qualcomm’s recent game developer challenge showcased a few unique mobile games that use AR to build virtual environments on real objects. Imagine playing The Sims or SimCity, but instead of doing it on a computer, you could actually lay out and build your character’s house right on your dining room table. One of the biggest problems in three-dimensional video games is controlling the camera. Augmented reality solves this problem by giving players complete, natural control over their environment. Want to see something from a different angle? Simply move it or your phone, just as you would with anything else in the real world. There are no buttons to push or toggle switches to toggle. If you want to get closer, you get closer; it’s as simple as that. Finally, board games are great, but they take up a lot of space. Eventually, they may not have to. 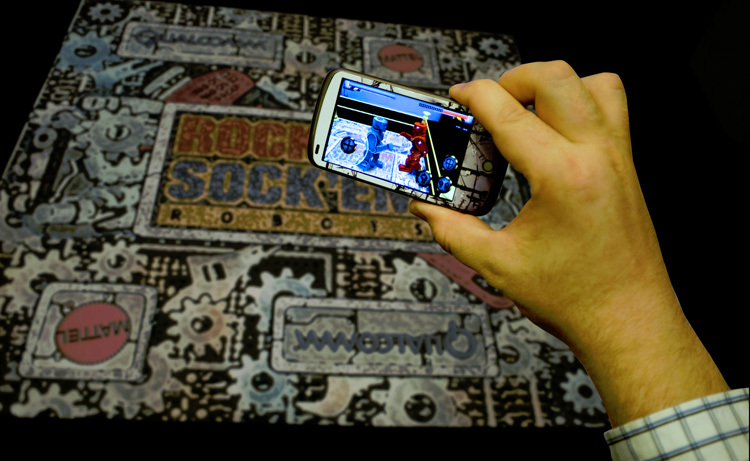 Many board games could be played using augmented reality. An AR game of Monopoly could be played on your coffee table without any mess at all. When you’re done, simply save it and resume later. Companies are working on ways to embed AR functionality in glasses, making the AR experience a lot more fluid than having to hold up a phone. This Qualcomm developer reel shows a few winning game concepts from the company’s AR developer challenge earlier this year.